This seminar is ideal for SME’s looking at funding options, accountants and other intermediaries advising their clients on business plans, and those looking into new customer areas, for a background on the funding available and what fund managers are looking for to ensure a successful application. With an introduction from the British Business Bank, giving an overview of the Bank’s programmes and its work across the region, then follows the MEIF fund managers, who will give a short synopsis on their respective funds, covering both debt and equity funding. There will be opportunities to ask questions and chat with the MEIF fund managers after the seminar. The Midlands Engine Investment Fund (MEIF), supported by the European Regional Development Fund, provides commercially focussed finance through Small Business Loans, Debt Finance, Proof-of-Concept and Equity Finance funds. 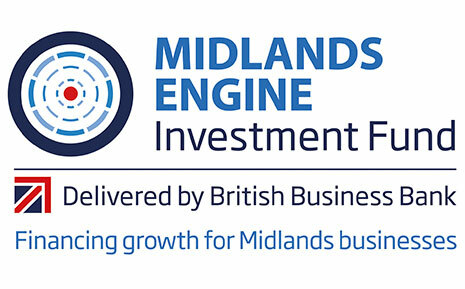 MEIF is a collaboration between the British Business Bank and ten Local Enterprise Partnerships (LEPs) in the West Midlands and East and South-East Midlands. They provide over £250m of investment to boost small and medium-sized business (SME) growth in the Midlands. Please contact your lab manager for more information.